Stop on by or give us call today! We look forward to hearing from you! Here's a look at the latest on the WARDJet shop floor. If you haven't gone behind the scenes at WARDJet before be sure to watch this! 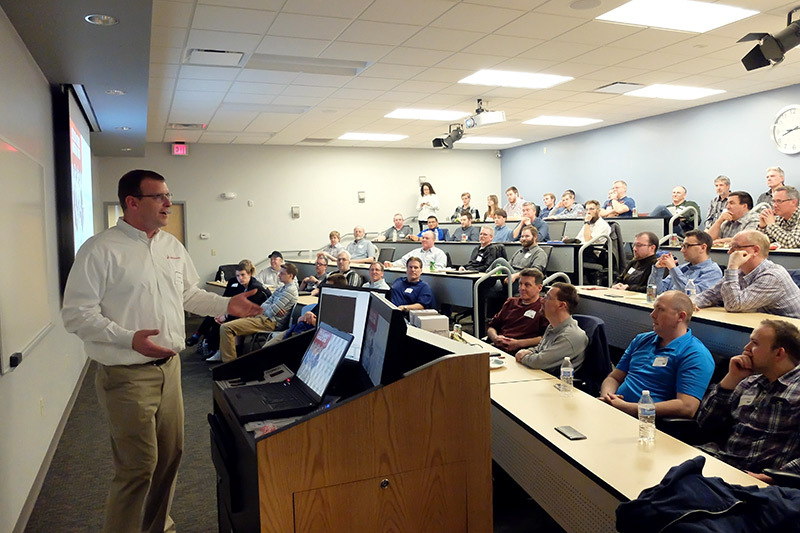 On April 13th, over 70 individuals from the Northeast Ohio SolidWorks User Group (NEOSWUG) visited WARDJet for their chapter meeting. Members of the NEOSWUG organization are professionals working with the CAM software SolidWorks, which is popular in industries such as engineering and manufacturing. Students from local high schools and universities were also in attendance. 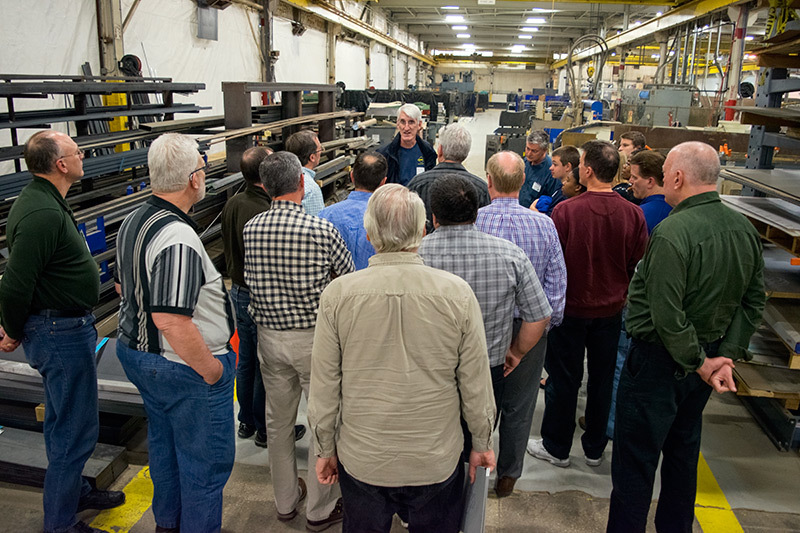 WARDJet was a natural fit to host the meeting, since the waterjet company is heavily involved in both engineering and manufacturing, hires mostly local talent, and uses the SolidWorks software to design equipment. Attendees of the after-work event were greeted with a dinner networking reception. Presentations by WARDJet Director of Sales & Marketing Jason Stuffel and Director of Engineering Adam Carder kicked off the formal meeting. Stuffel introduced WARDJet and described waterjet cutting technology to the audience using multimedia elements. Carder took the helm shortly after, and launched into a presentation that outlined how WARDJet utilizes SolidWorks and its products to streamline engineering and production. 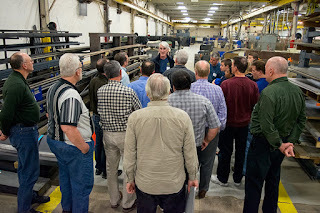 After these initial presentations, attendees were treated to a tour of WARDJet’s production floor. At the conclusion of the WARDJet tour, guests returned to the lecture hall for presentations by SolidWorks employees. The event concluded with giveaways, including SolidWorks garb and waterjet-cut logo artwork. The evening was lots of fun, and attendees walked away with a greater appreciation for the SolidWorks community and a deeper knowledge of waterjet cutting technology! Yesterday was Opening Day, which marks the first official day of the 2016 Major League Baseball season. This got us thinking: what is inside a baseball? Watch the video below to see for yourself! 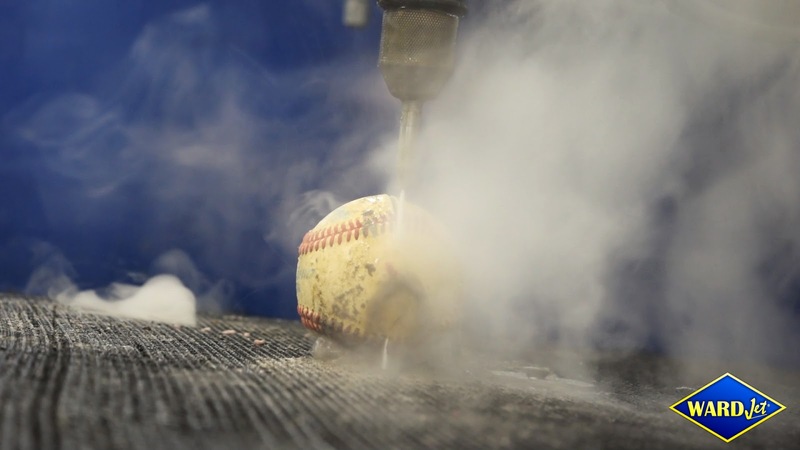 Waterjets can cut through virtually any material from tinfoil to titanium, including baseballs. 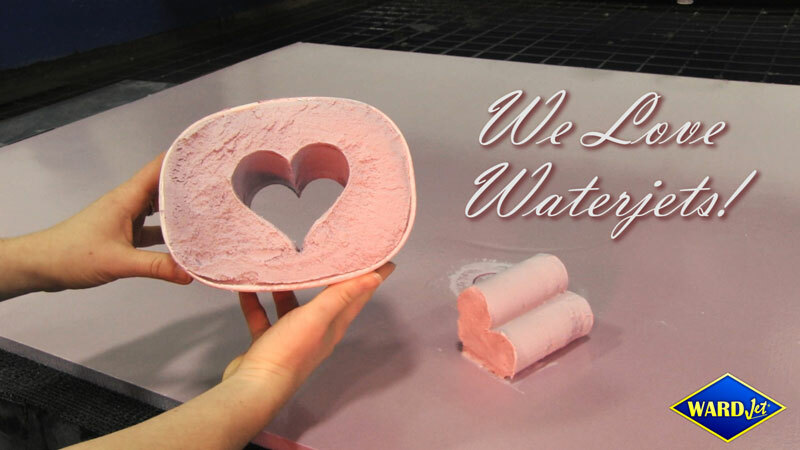 If your business has been using dies, knives, lasers, or plasma tables, waterjet could be a better option. Contact the WARDJet sales team today to discuss your specific application! It's almost Valentine's Day! At WARDJet, we are always looking for a reason to cut something different on a waterjet, sometimes even just for fun. For us, Valentine's Day means sweet treats and heart shapes, so we decided to cut a heart out of pink ice cream using water-only. Check out the video to see this delicious cut! WARDJet is excited to be featured as SyncShow's February 2016 Manufacturer of the Month! SyncShow is responsible for organizing the We Manufacture CLE initiative, which highlights the incredible manufacturing companies that define the Greater Cleveland region. Click the player below to watch the video. Manufacturing is in our blood at WARDJet. Having in-house manufacturing capability allows us to be creative and flexible when designing tailor-made waterjets for our customers. 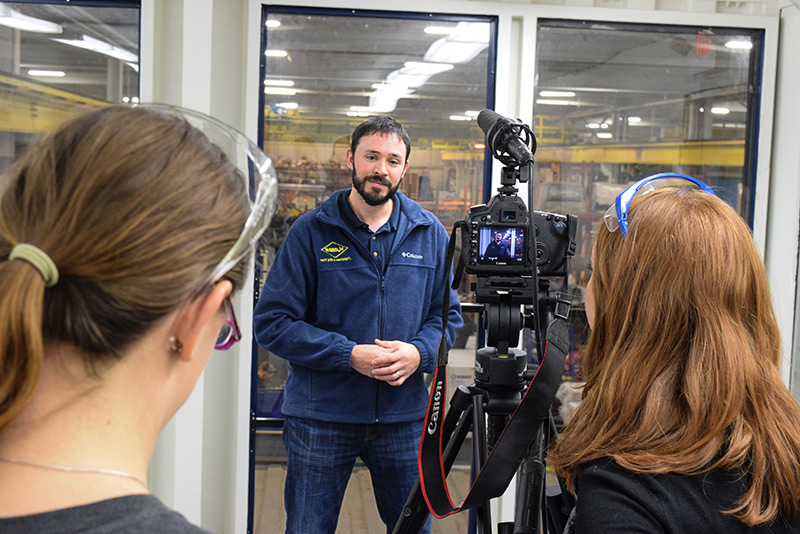 We are honored to be a part of the We Manufacture CLE campaign alongside other sensational manufacturers who are also making a difference in their industry. Read the full WARDJet article by visiting SyncShow's blog. Did you know that Chinese New Year falls on February 8th this year? 2016 is the Year of the Monkey. WARDJet's marketing team decided to take the opportunity to celebrate another culture and, of course, to cut out something fun on a ZX-2543-5 waterjet. The Chinese New Year, also called Spring Festival, originated in the Shang Dynasty and has been celebrated for over 4,000 years. Their calendar runs in 12 year cycles, each year named for one of 12 animals. Since this year is the year of the monkey, we designed this graphic to be cut on waterjet. Happy Chinese New Year! WARDJet has shipped a third water-only waterjet to the same customer in the foam fabricating industry. Each waterjet cutting machine has been slightly different–the first, a high-speed L-Series waterjet, next, a Z-Series water-only waterjet with four heads on a spreader bar, and now an EX-1515-5 optimized for rapid prototyping of water-only 3D parts. This EX-1515-5 features a sloped tank lined with stainless steel, designed specifically for water-only cutting. The sloped tank focuses water to a central point at the back of the tank where waste water can be easily collected and fed to a drain. The tank of this EX-1515-5 water-only waterjet also features steel supports to hold water brick trays. These steel supports can be fine-tuned to keep materials flat and level in relation to the cutting head, which is important for accurate 5-Axis cutting. The Infini Winder 5-Axis cutting head is mounted to the E-Series crossbeam with WARDJet's robust Mecha Z-Carriage, and is linked to the safety PLC to stop the machine if any of the safety doors are opened during cutting. As in many of our custom systems, you'll notice many similar design elements to our standard product line. This EX-1515-5 utilizes the gantry of a standard E-Series waterjet and places it atop the sloped tank found in water-only waterjets, like the L-Series and J-Series. Because of the modularity of WARDJet designs, WARDJet staff is able to design, build, and ship tailored systems efficiently. 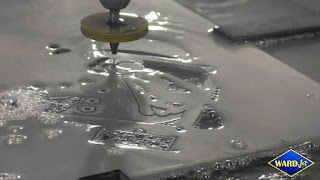 Take a tour of the EX-1515-5 waterjet by watching the video below. This is the last week of training before next weekend’s North America Cup in Steamboat Springs, where I typically do very well since it is my home turf. This week is also a big week for exposure as the Denver Post is featuring me in an article, and I am also filming with a filmmaker and his 6 person crew for a promotional video for DJI drones that is anticipated to have exposure worldwide. So there is no doubt that the "stage is big" this week/weekend, and the pressure is on. Fortunately I find a lot of excitement and energy when the spotlight is on me, and I plan to use it in the best way possible. This week, I am training Wednesday, Thursday and Friday and competing Saturday and Sunday. 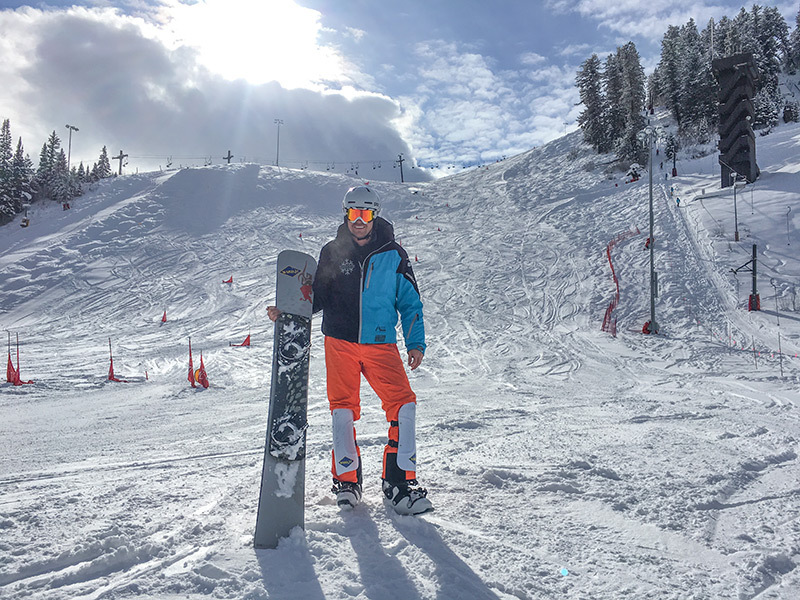 Saturday is the Parallel Giant Slalom and Sunday is the Parallel Slalom, both of which are FIS North America Cups and hold Olympic significance. I feel more ready than ever before and excited with my training times that are proving to be very fast! 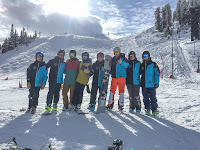 While training in Steamboat last weekend, I had an opportunity to get a picture with some of the top junior riders, who are up-and-coming stars in the sport of snowboard racing. 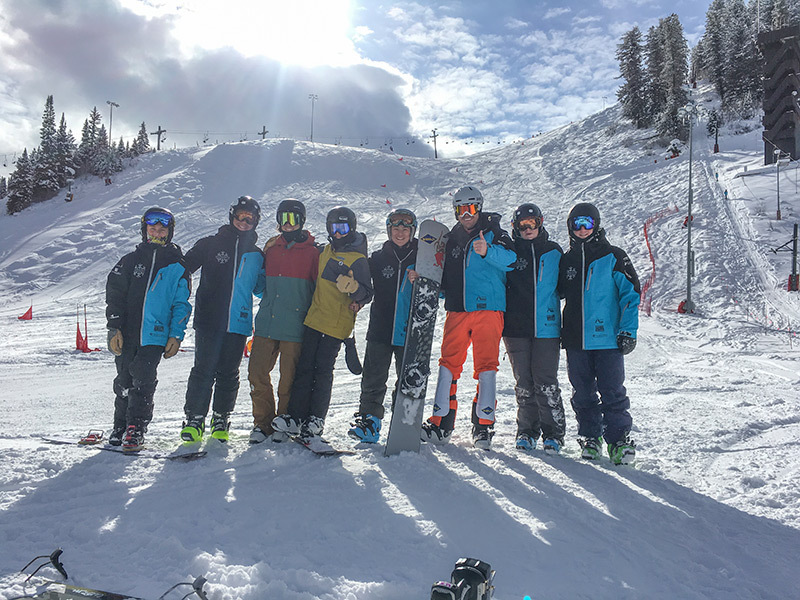 I believe that it is always important to be involved with the progression of junior riders, as it was so important to me when I was younger. Good luck in your next races, Steve! For more updates, visit wardjet.com/speedysteve or check out WARDJet's Facebook page. Happy New Year from all of us at WARDJet! What a great year it has been. We had a wildly successful Open House, we celebrated our 20 year anniversary and we have had unprecedented growth as a company! We will be closed on Friday, January 1st in celebration of the New Year. Offices will reopen and resume regular business hours on January 4th. 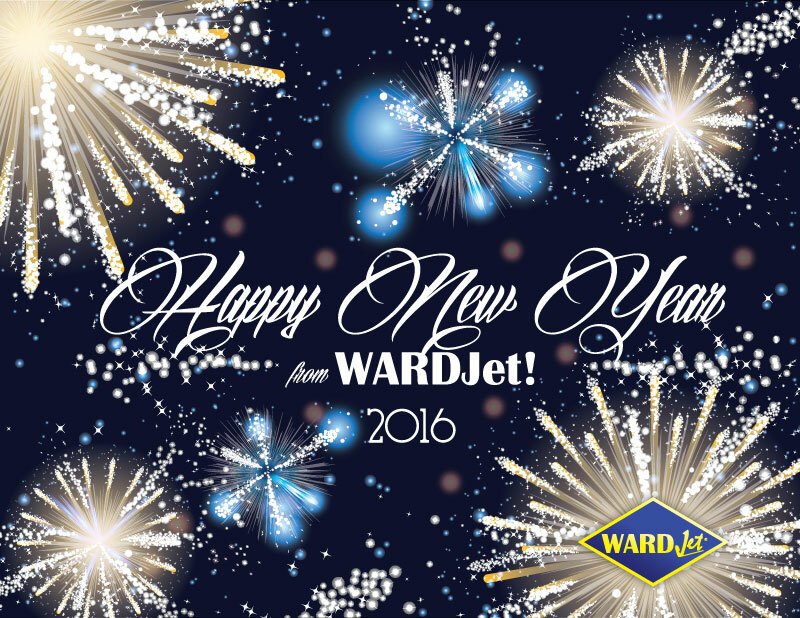 We hope that you have a safe and wonderful start to 2016!